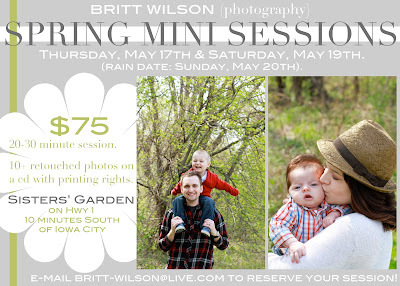 We will be hosting Britt Wilson Photography's spring mini photo session's here in May. There will be lots of fun vintage furniture to sit on ---- right out of our stores! This is so beautiful and I really like it. I am very glad that I came across here. Thank you.